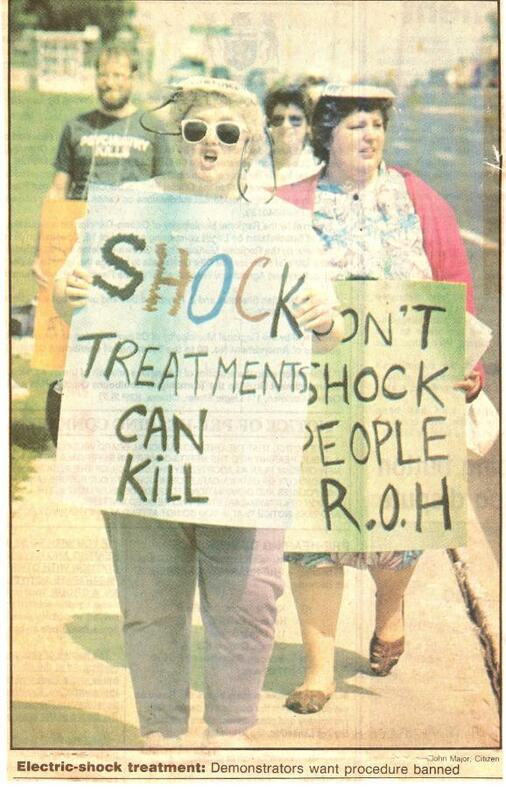 The ICBE is working together with individuals, organizations, and our supporters to end electroshock (ECT) universally. Sue and Steven Wittenberg of Ottawa, Canada founded the ICBE in 2006. We work together to make our cause known, to reach out to other groups who share our vision. 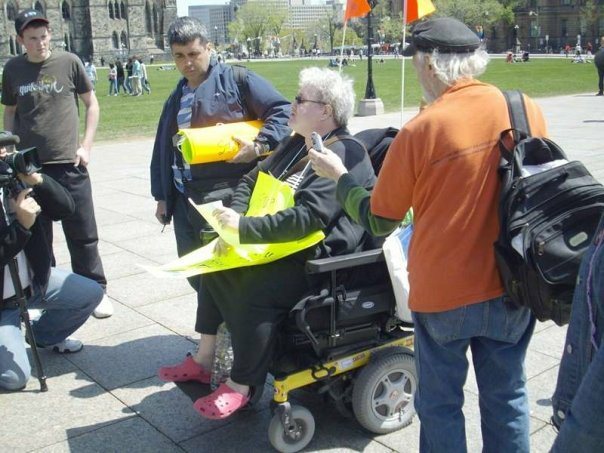 PHOTO ABOVE: Sue Wittenberg in the wheelchair is an electroshock (ECT) survivor. She was 17 years old when she was forced to have ECT.. On her 5th ECT her heart stopped and she had to be revived.